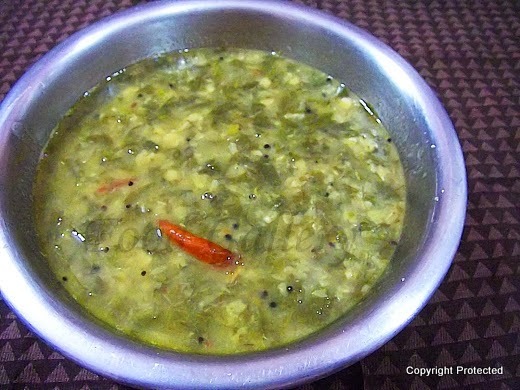 Menthi Kura Pappu -- This flavorful n tasty dal from Andhra is prepared with fresh methi leaves and dal/lentils. This one is a hot favorite with my family and it comes up in our menu at least twice a week. There are quite a few dishes you can prepare with methi -- methi paratha, methi pulao, methi matar malai, menthi kura pachadi, methi fry, menthi kura pulusu, Aloo methi etc. Methi leaves have very high iron content and good dietary fiber, so it is a good idea to include it in your diet at least once or twice a week, especially if you have kids. 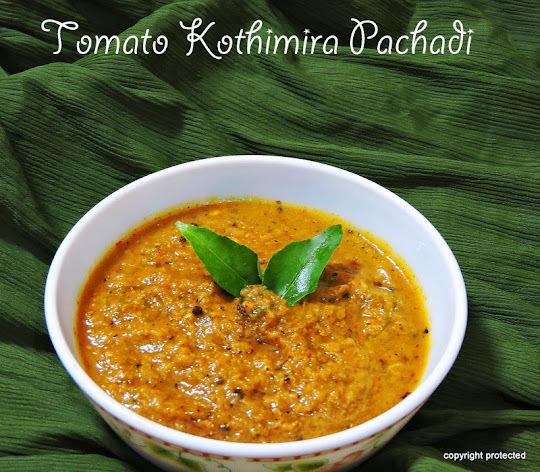 Now here's the recipe for Menthi Kura Pappu..
Chop onion and tomato finely and keep aside. Heat oil in a kadai and add mustard seeds. 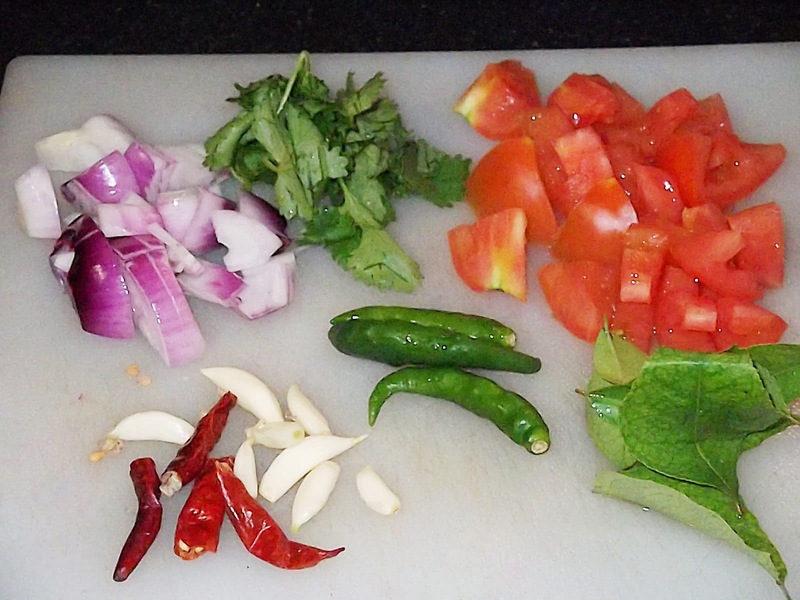 When they start spluttering, add cumin seeds, red chillies, crushed garlic and curry leaves and fry for a minute. Add chopped onions and green chillis and fry till the onions turn translucent. Add ginger paste and saute for 2 minutes. Then add chopped tomatoes and mix well and saute for another 2 minutes and remove from fire. Add this to toor dal along with turmeric and fenugreek leaves and about 2 cups of water. Let it pressure cook for upto 4 whistles or until the toor dal is soft. Wait till the cooker cools down a bit and the pressure is released. Remove the lid and add salt and coriander leaves to the dal mixture and mash with the back of a ladle till everything mixes well together. Serve this absolutely tasty dal with rice, ghee and papads. I make this with mixed dal , try that way too.